That’s right. I love ALL things Indian and specifically all things Bollywood. This is not an obsession I readily discuss, but I thought it was time. I’m not sure how it got started. It’s not like I grew up watching Bollywood films or even have any family ties to the culture. Kung Fu is an altogether different matter as my cousins are part Chinese, but that is an obsession for another day. I think it began in College because prior to that I had little or no exposure to the Indian culture. Sometime after college, I happened on a couple of Indian films and I was hooked. First, Bend it Like Beckham – the culture, soccer and Beckham – what’s not to love. Then some more serious flicks including a movie revolving around a cricket game that dealt with the issue of the caste system. One hour in, I thought why am I watching this film. Three hours later, through happy tears I thought, why haven’t I watched this film before? Then there was Bride and Prejudice. An Indian remake on Pride and Prejudice – how can you pass that up? My favorite line ever – How hard can it [dancing] be? You just pet the dog and screw in the light bulb? Then the ever popular Slumdog Millionaire. You laughed, you cried, you laughed some more and all along fell in love. No I’m not well-versed in the culture. 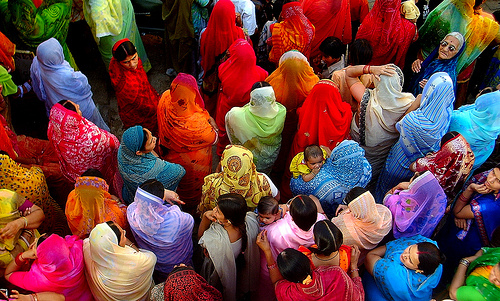 I have never visited India and I don’t have many Indian friends, but I’m totally obsessed. Have I mentioned there is an Indian radio station in town? I ran across it one night and thought it was probably just a university station that had a couple of hours dedicated to Indian music. Imagine my delight when I got back in the car the following morning and the music was still going. All this to say, I’m obsessed. I have been listening to non-stop Indian music for the past week. I have added a couple of new films to our Netflix queue. And I’m seriously contemplating checking out the Indian dance club in town. So, if I bust out in song when trying to sort out a dilemma, just go with it. 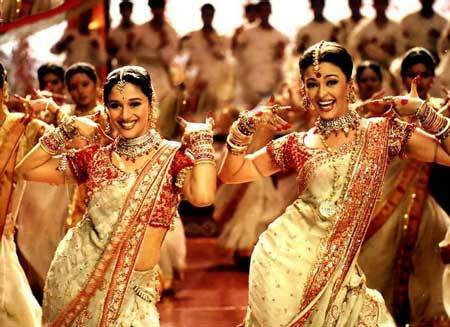 This entry was posted in Just because, My Favorite Things, Today's Obsession and tagged Bend it Like Beckham, Bollywood, Bride and Prejudice, Dance, India, Slumdog Millionaire. Bookmark the permalink. Pleased to know that you love Indians and Bollywood so much.. Very nice post.. Stay connected!